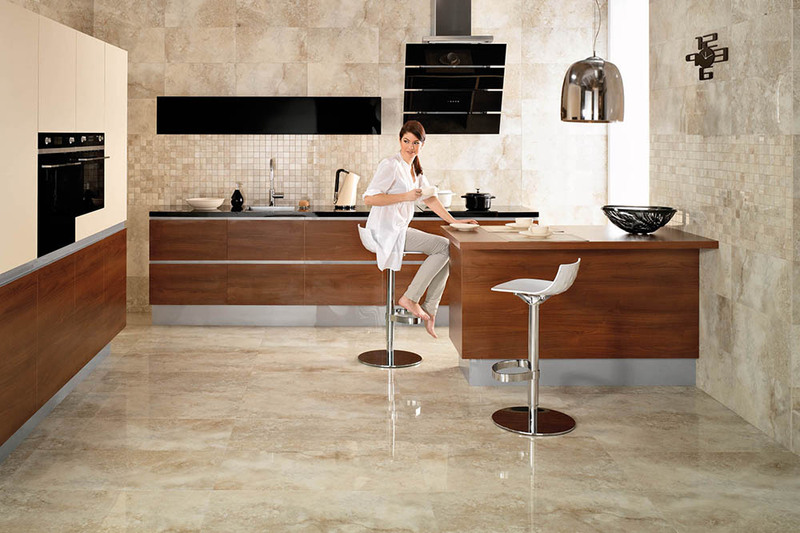 Throughout the ages stone has been one of the most widely used building products. It has stood the test of time in all its applications, capable of withstanding the extremes in weather and the abuse of modern society. 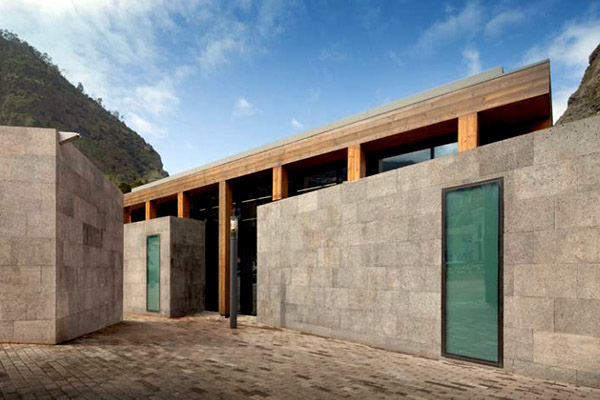 Stone – and granite in particular – provides the ultimate solution for beautiful, durable building products and stone paving. 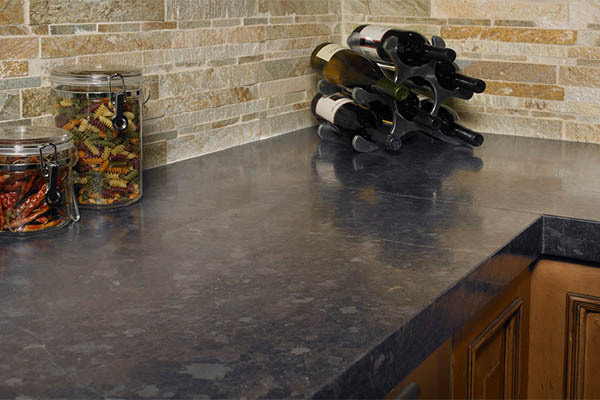 Granite and composite stone is an ideal product for the surfaces of kitchen benches, bars and vanities. Its durable surface is extremely hard wearing and is stain, fire and water resistant, making it difficult to scratch or mark the surface. All stone benchtops are sealed during manufacture to prevent staining from hot pots or plates and as such little or no maintenance required. Granite and stone benchtops are very pleasing to the eye and add immeasurable value to the character and prestige of your kitchen, bathroom or bar. Advanced Stone is a major supplier of granite to the residential building industry of Australia. Whether you are a major developer or an owner/builder we can help you with your stone needs. A stylish addition to any kitchen, stone benchtops offer a low-maintenance, long-lasting workbench solution. 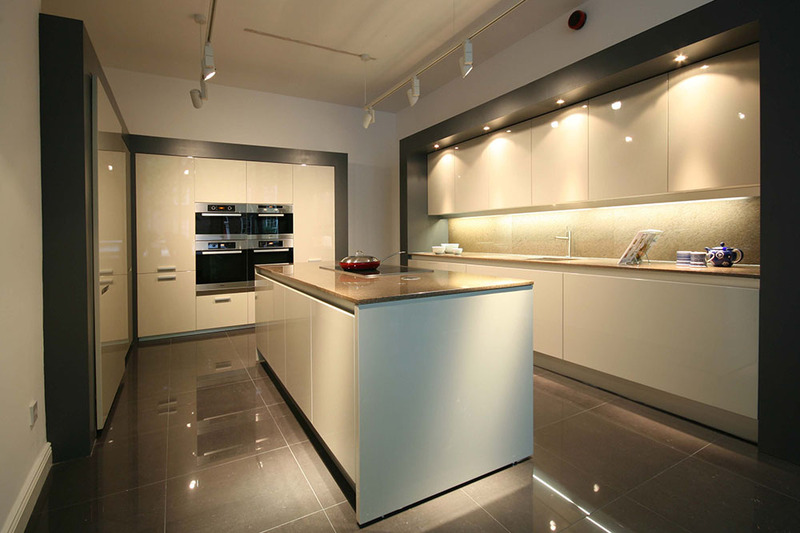 Advanced Stone can supply your home with stone benchtops in a variety of colours, finishes, and shapes. Resistant to water stains and chipping, stone vanities and baths make beautiful statement pieces. 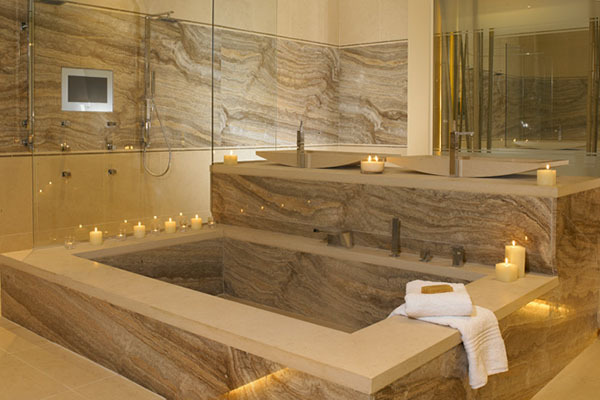 With a myriad of granite and composite stone available, Advanced Stone offers all manner of vanities and baths. As a major supplier of granite to the residential building industry, Advanced Stone can fulfil all your stone paving and flooring needs. We supply stone paving to everyone from major developers to individual owners. Nothing makes a statement like a stunning stone fireplace in your living area. 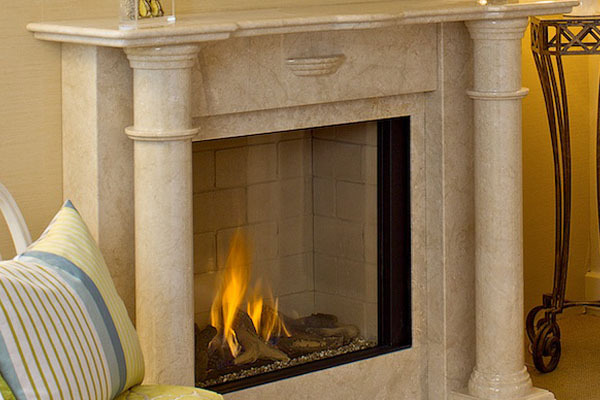 Advanced Stone can design, source, and install stone fireplaces that add class to homes and provide a beautiful focal point. 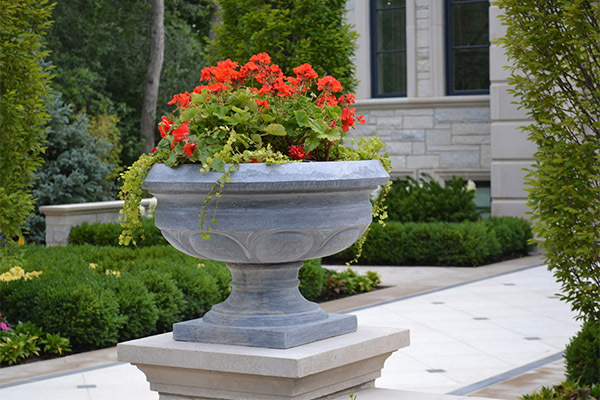 Stone urns and planters are perfect for classic and Renaissance-style gardens. Advanced Stone creates stone planters and pots for gardens working in consultation with clients and landscape architects. 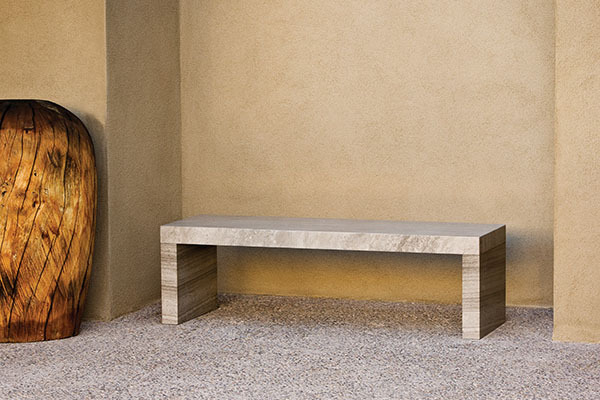 From simple, modern pieces to more fanciful curved recliners, Advanced Stone’s expert masons can hew stone furniture that blends in perfectly with the style of your outdoor living area. We have a range of finishes available. For stone paving and cladding that will stand the test of time, talk to the team at Advanced Stone. Whatever the size and scale of your project, we can cover all that you need in stone paving and cladding. 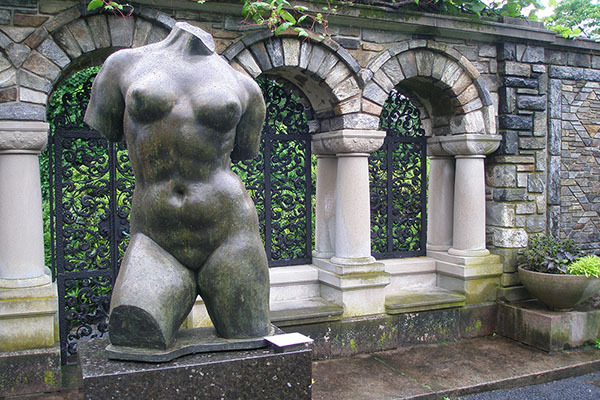 For a statement piece in your garden, talk to the team at Advanced Stone about statues and sculptures. Our experienced and skilled masons will listen to your ideas and create a stone statue or sculpture to match. 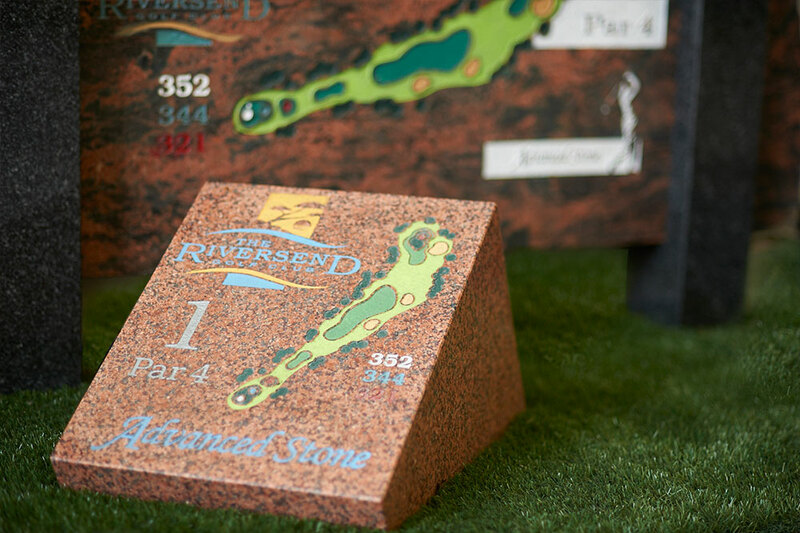 We understand that every golf course is unique both geographically and aesthetically and to that end we have made each hole marker in our range fully customizable. You can choose from the numerous different granites we have, and the way they are finished – for example polished, honed or rough edged – and the graphical content on each marker will be tailored to suit your course and needs. Our range of hole markers extends from a small unimposing design such as the Keystone to the large and opulent Monolith. All our markers can be supplied using any of the granites in our range and can either be flush mounted on the tee or supplied with its own stone base. Each marker is set up ready to carry whatever content you desire. Whether that be simply the hole number and its par or a complete set of graphics including hole map, meterage and club and/or sponsors logo. We can also etch photographic imagery onto the marker’s face providing another level of individuality. If nothing in the range suits your needs, our design staff can liaise with you and create something totally original for your club. There are virtually no limitations for what can be achieved with a little imagination and the skills of our craftsmen. 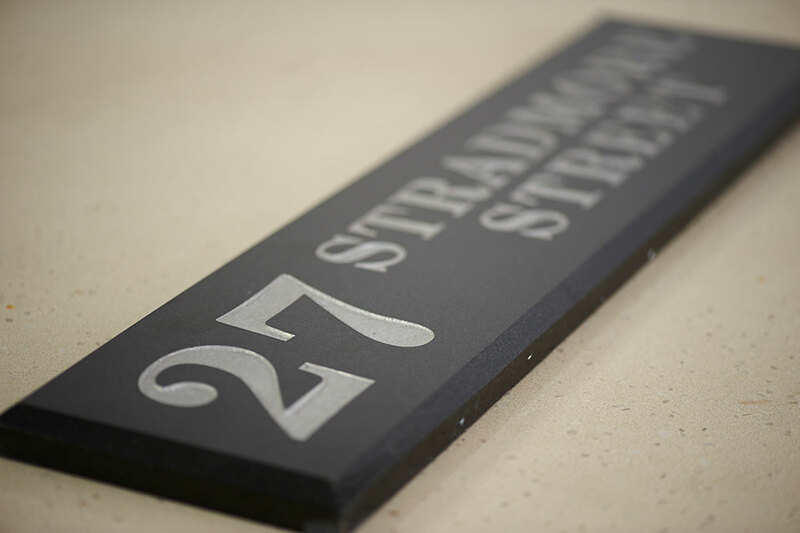 Enrich your home with a personalised, made-to-order granite address plaque. Ideal for the home or business, these plaques will ensure your mail or your visitors never go astray. Available in any granite from our range, these 600 x 150 x 20mm thick plaques are bevelled and polished on all visible faces. With an extensive range of typefaces and finishes available, each plaque is as unique as the home it adorns. Custom plaques with logos or other designs are available upon request.